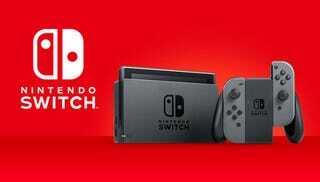 It’s been just over a year since Nintendo released the Switch. Whether you bought it on March 3rd of 2017 or two months ago, here are your thoughts on the company’s latest console. For our first Theme Week in 2018, I asked the fine folks of TAY to discuss your thoughts and experiences with Nintendo Switch, in celebration of its one year anniversary. Everyone sure had a lot to say! Now that this theme week has officially ended, it’s time to round up all the delightful articles you wrote featuring a multitude of Switch header images. Don’t forget to click the links to read the articles in full. Switch had a good year. Some of the best new games are now in our libraries. But as John points out, we could really have the ability on the console to play the best old games too. The question is simple: Where’s our Virtual Console, Nintendo? TAY Theme Week: OK, Nintendo, Where Is Virtual Console? As a fellow person who struggles with a gaming backlog a mile deep, Rer encapsulates our shared horror with the simple sentiment: Yes, we’re all in trouble. Deep, deep trouble. Thanks, Nintendo. What did Wiim’s year with Nintendo Switch look like? It involved playing Breath of the Wild for a solid year and still going! There’s Mario, there’s Puyo Puyo Tetris, there’s a demo for Octopath Traveler and that leads us to what is most exciting: The future. Of all the games I played on the Switch—and there have been many excellent ones—Mario + Rabbids: Kingdom Battle has been my favorite. Maybe ask me tomorrow if I think Breath of the Wild is better and I’d probably say yeah. But there has been no purer fun that I’ve had than the odd Mario and Rabbids mashup. I did not expect, however, that I’d be thinking about Final Fantasy VII during my playthrough. As always, thanks to everyone who participated in this theme week, whether you wrote, read, and/or commented. If I missed including your article, please let me know and I’ll add it!